Takeover talk continues to dominate on Tyneside this weekend, despite another solid Premier League win over Crystal Palace. Mike Ashley has revealed publicly that the club is up for sale and there are thought to be around four serious interested parties. One of those is Amanda Staveley and her and her PCP Partners group. On the back of that, there has also been much talk of a potential war chest being offered to Rafa Benitez in order to turn the Magpies’ squad into one capable of challenging for the Premier League title. A report in the Express today even suggested the Toon boss would be handed as much as £500m to spend over the next two transfer windows if Staveley’s group takes control at St James’ Park. And with that gossip has already come fresh transfer speculation too, with names of who Benitez could target in the January winter window. The same Express report that quoted the £500m transfer kitty noted ex-players Andros Townsend and Hatem Ben Arfa as potential targets, but three names also cropped up in other reports in the Sun on Sunday. According to earlier stories, Liverpool striker Ings had been a summer target of Benitez. However, Ings reportedly turned down the move, with the 25-year-old desperate to fight for his place at Anfield. Ings is still recovering from a serious knee injury which saw him miss all of last season and this term he’s been mainly playing in the under-23s, with the exception of 17 minutes in the EFL Cup. According to the Sun on Sunday report, Jurgen Klopp is a big fan of Ings still, but believes a temporary move would do him well to get more first team minutes as he continues his comeback. What’s more, Ings is said to be open to a January loan move in order to play football and impress Gareth Southgate to try and earn his place back in the England squad ahead of next summer’s World Cup. Newcastle are said to be one of four clubs interested. Southampton, Crystal Palace and Watford are the other three. Benitez is known to want a striker in January, with his scouts regularly watching Besiktas’ Cenk Tosun too – the Turkish international who seems destined to be at a new club by February 1. In the summer Benitez also failed to land a new goalkeeper, despite trying for numerous targets. Rob Elliot has started the campaign in between the sticks, but Benitez is still keen to strengthen his options. And as such, the Toon boss has had his scouting network working hard identifying other options for January. According to a separate report in the Sun on Sunday, his scouts have reported back with the names of two South American shot-stoppers. Argentina’s Geronimo Rulli is the first. Rulli is valued at £15m and plays for Real Sociedad, having turned a loan switch there from Man City into a permanent in January. The 25-year-old’s impressive performances in La Liga recently earned him his first call-up by Argentina, although he’s yet to receive his first cap. 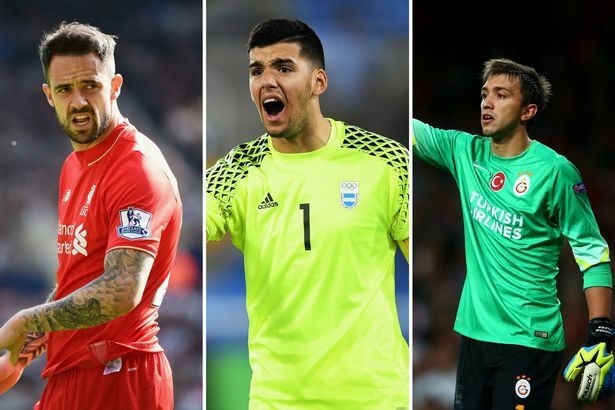 A potentially cheaper option is Galatasaray’s Fernando Muslera, valued at around £8m. The 31-year-old is the Uruguay number one goalkeeper and has been capped 94 times by his country. As well as Galatasaray, Muslera also had a four-year spell at Lazio.